You Took the Test, Right? So, you've been sorted into Ravenclaw! Congratulations! You must be one smart cookie, or you must be quite the creative type. That also means you get to join the ranks of Luna Lovegood and Professor Filius Flitwick. You should be heading to the rooftops to proudly proclaim your house, or maybe you should at least get a subtle decoration to let everyone know what kind of wizard you are. 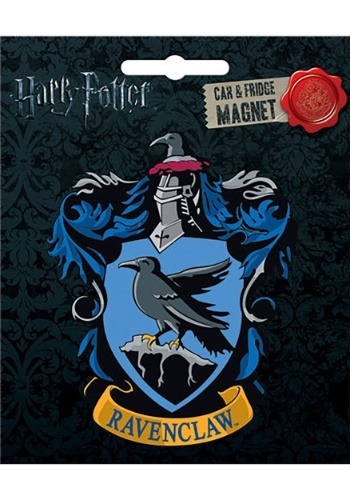 This Harry Ravenclaw magnet is a simple and subtle way to support your official house. 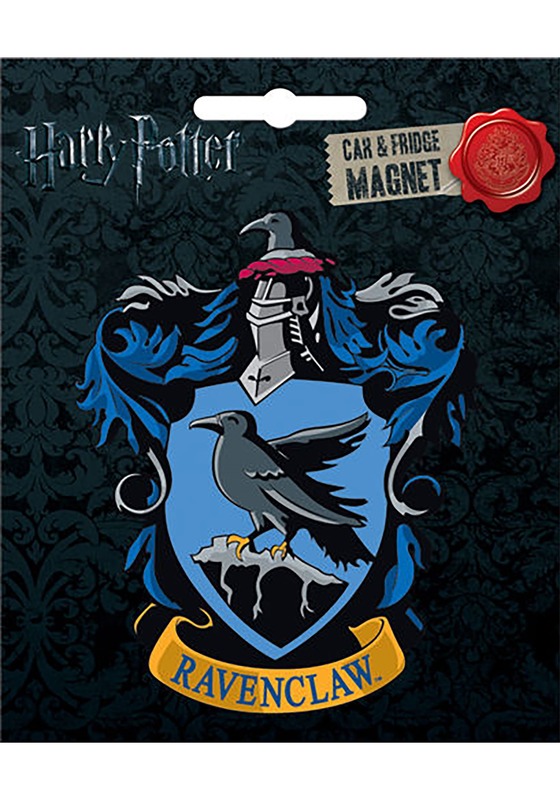 It features the blue house crest on the front, complete with the little illustration of the raven in the middle. It has the house name printed below. The magnetic back makes it a great decoration to place on your car, or on your refrigerator. Once it's there, everyone will know that you're a Ravenclaw. Of course, the best part about this magnet is that you no longer have to brag about what house you're in. You can let the magnet do all the work.